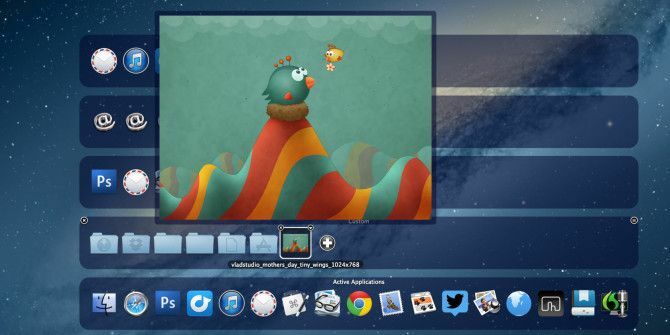 SuperTab leaves Apple’s traditional application launcher in the dust. When you activate SuperTab, it presents multiple floating docks that can be customized for your needs and workflow. This supercharged launcher reduces the need for other applications because it can initiate screenshots, paste snippets of text, and auto hide or quit selected running applications in the background. This could be the best $10 you’ll ever spend on a Mac application. Let me explain why. SuperTab is a system preferences application, which you will need to give permission to access your Mac’s settings. This isn’t a problem, because you will want it to. After installing SuperTab you can activate it with an assigned keyboard shortcut (by default, Command-Tab), or by pointing your cursor to a designated “hot” corner. You will also find a SuperTab entry in your System Preferences. SuperTab starts off with docks of your active and recently launched applications and documents, access to all your Mac home folders, and all of the items on your desktop. If you feel overwhelmed, no problem, SuperTab is completely customizable. Docks can be removed, changed, and their contents can be defined. Opening SuperTab is like opening a Finder window, but with more useful access to items you might need. 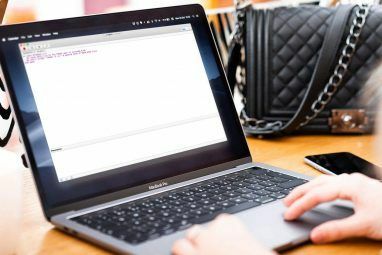 Files, webpages, folders, and even AppleScript applications How to Use Applescript's UI Scripting on Mac How to Use Applescript's UI Scripting on Mac Read More can be added to a custom document and launched with a click of a mouse. Unfortunately, however, you can’t drag a file onto an application in a SuperTab dock and open it from there. SuperTab is not limited to launching files and applications. It can be used to hide or quit selected applications in the background after a preset amount of time. With SuperTab’s docks open, choose an application and two-finger (or control) click on the configuration menu, then select a time delay under Auto Quit When Idle or the option above. These management features are faster to configure than using the automation program Keyboard Maestro Automate Everything On Your Mac with Keyboard Maestro [Mac] Automate Everything On Your Mac with Keyboard Maestro [Mac] I've written several articles about Mac automation, including a MUO Automation Guide on how to get started with Apple's Automator and the built-in OS X features for creating smart folders, playlists, albums, and mailboxes. But... Read More or menu application Houdini Take Control of Windows On Your Mac Desktop With BetterSnapTool and Houdini Take Control of Windows On Your Mac Desktop With BetterSnapTool and Houdini No matter if you have a small 11" MacBook Air or a 27" iMac, you typically are going to wrestle with managing windows on your desktop screen. Even though I use two monitors, I used... Read More , and it can help free up memory space on your Mac. One difference though between SuperTab and Houdini is the former only provides three preset times (5, 30, or 60 minutes) to hide or quit an application, whereas as Houdini provides customized times up to five minutes, and it automatically applies the hiding action to opened applications. Houdini, however, doesn’t quit applications. The most advanced feature of SuperTab are automation workflows. 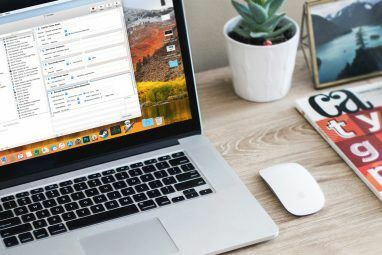 Many applications such as the Mac launcher, Alfred can store snippets of text that can be pasted using an hotkey or workflow. But SuperTab can do this and more. You can configure SuperTab to create a new mail message, select and delete all the files on your desktop, hide open applications, type a password, open an application and select multiple menu items, and much more. These workflows basically consist of activating keyboard and menu related actions that you configure based on the manual steps you take to perform a task. This tutorial page provides a few examples to get you started. Apple’s application switcher has been around for a while now, but SuperTab shows that it’s time to move beyond just switching applications. In addition to what I describe above, SuperTab allows you to assign a hotkey to items in the docks, save up to 250 items to your system clipboard, tag files, folders, and applications, preview folder content, and prevent your Mac from sleeping when a selected application is in the foreground. SuperTab works great for any size desktop, but if you’re using two more monitors, the docks unfortunately don’t open on other monitors. It would also be useful if SuperTab showed a custom-assigned dock only when a particular application is active. SuperTab includes built-in documentation (and a QuickStart Guide on its website) accessed by clicking on System Preferences > SuperTab > More. Let us know what you think of SuperTab and what features you would like to see added to it. 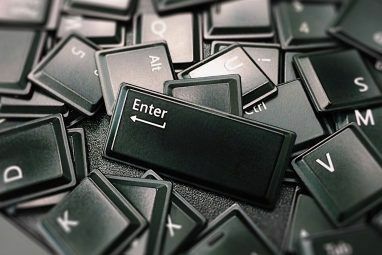 Explore more about: Computer Automation, Mac Launcher. Andriy, thanks for commenting on SuperTab. As the developer of SuperTab, I will investigate the issues you mentioned -- especially since you were excited about SuperTab at first but found the issues to be deal breakers. I'd like to ask that you contact me (ando@supertab.me) so that I can get more info from you and then work with you on resolving the issues. And Bakari, thank you very, very much for such a fantastic review! I do acknowledge a couple of the short-comings you mention (such as no drag and drop support, and the ability to show Tab Rows (aka "docks") in certain contexts and I will be adding such features in future releases. But in the meantime, your review is the kind of positive feedback that not only makes my day, but also inspires me to keep making SuperTab better and better. You're welcome, Ando. I'm glad I found out about SuperTab. I'm using it everyday, and I look forward to the updates. Thanks also for stopping by and responding to our reader concerns. When I first heard about this program I was very exited. Setup went smooth, and I was in TAB-wonderland in no time. Sadly noticed a few small problems that became a deal breaker for me. Switching from a full screen apps, such as game did not work. And ocationall flickering when using with certain apps gave app an unpolished feel. Andriy, thanks for your feedback. I haven't experienced the issues you have, but that could mean that SuperTab reacts differently to different applications. So thanks for letting us know how the app works for you. Ooops.. I just realized that I previously created a new post and didn't instead reply to your post Andriy. I'm hoping that replying will send you a notification as I'd still like to work with you to understand the issues you encountered with SuperTab and see what I can do to fix them.